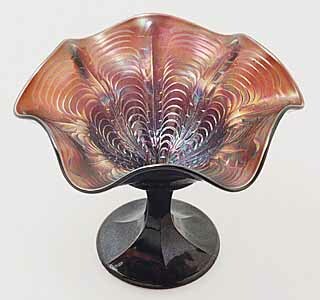 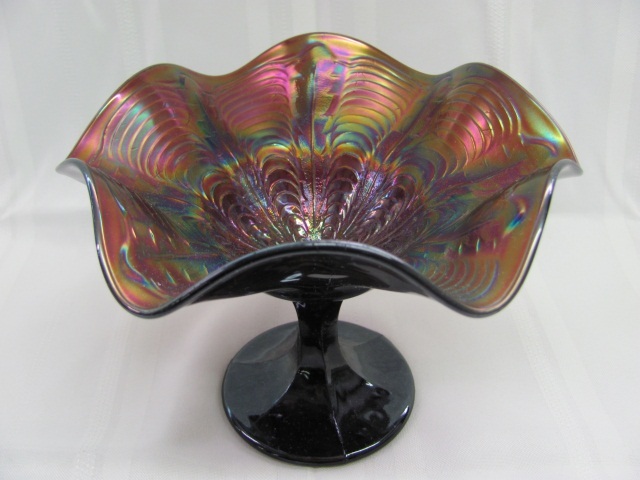 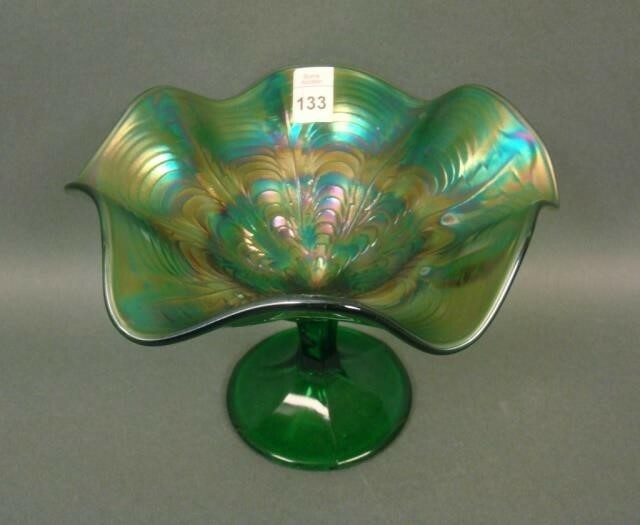 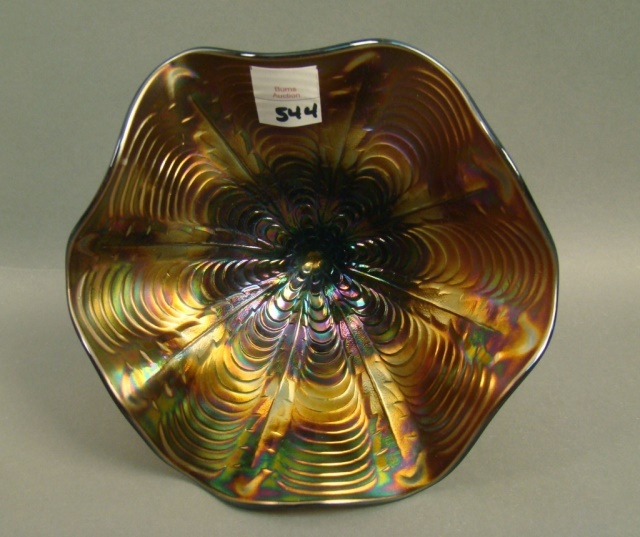 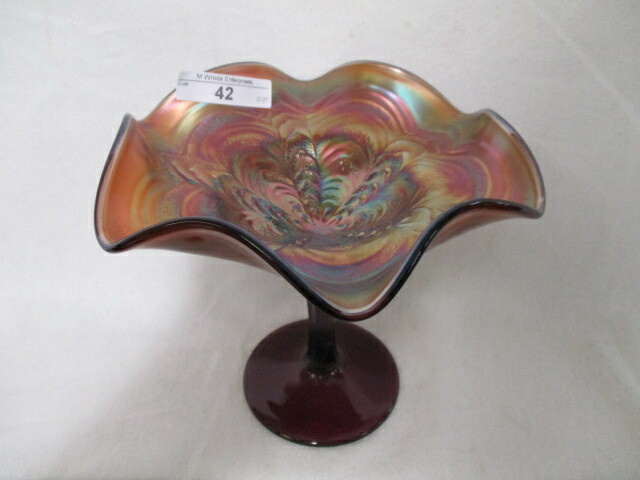 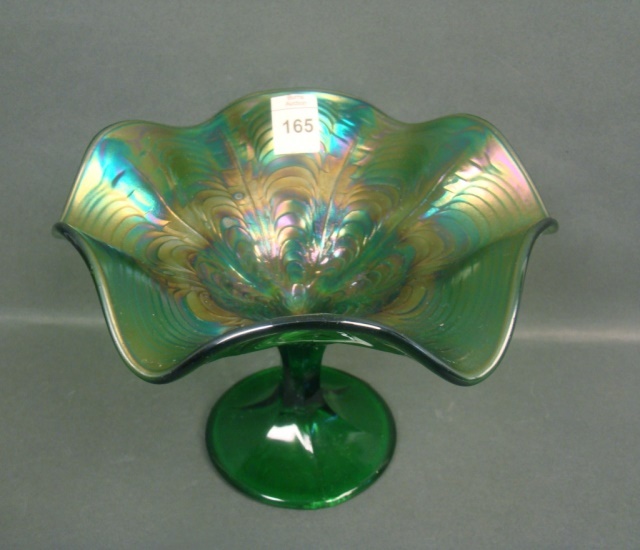 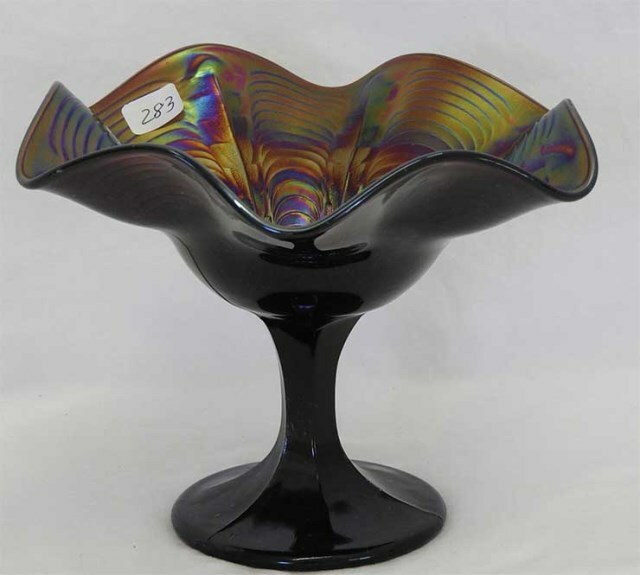 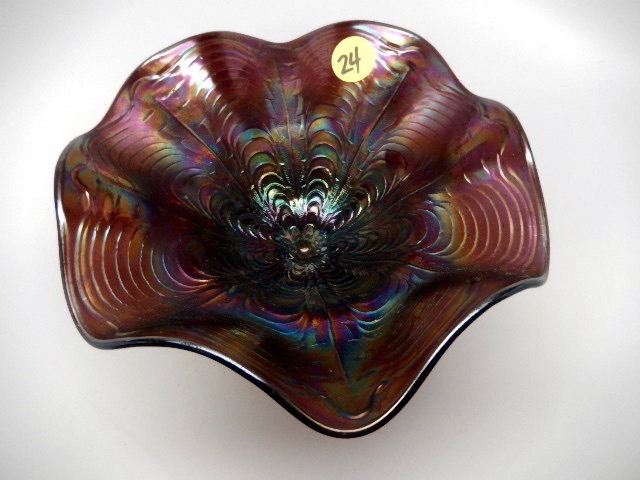 Many collectors attribute this compote to Millersburg; others think it's a variation of Fenton's Peacock Tail. 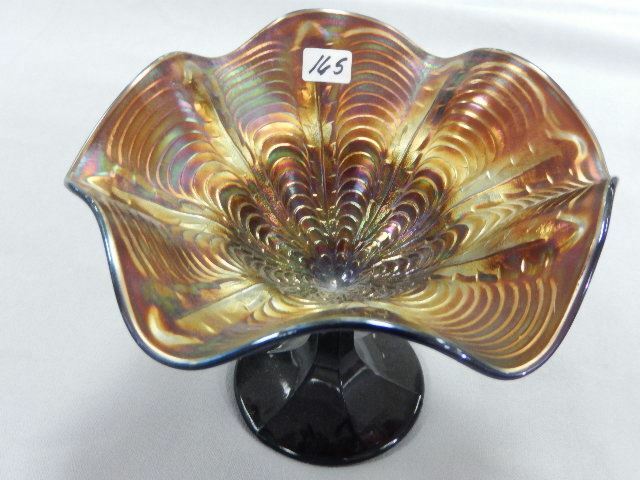 I'm not aware of any reference that points definitively to Millersburg. 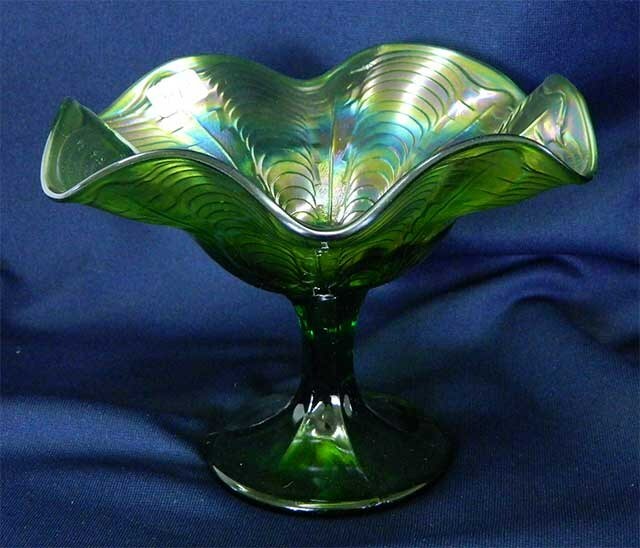 Marie McGee, in her authoritative book on Millersburg, doesn't even mention it. 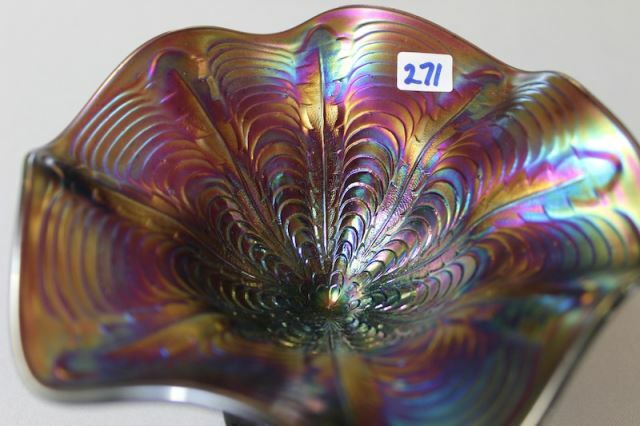 The interior is almost identical to Peacock tail. 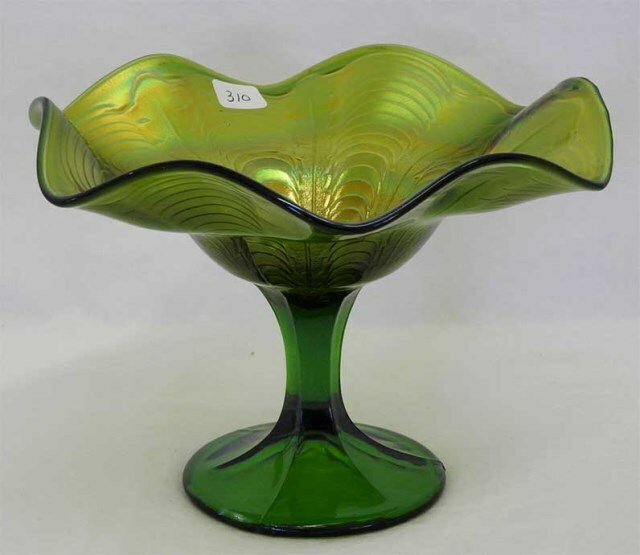 The main difference is in the stems and the underneath of the bowl. 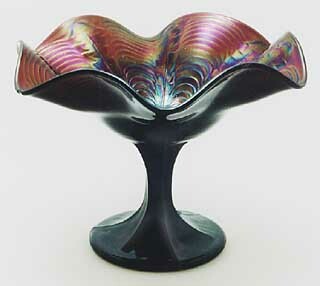 This one has a smooth bowl. 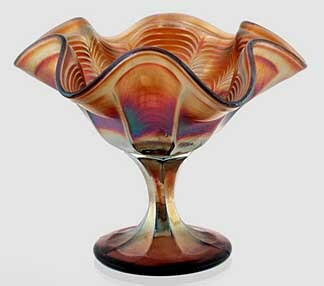 The Fenton, as shown below (right), has panels that begin on the base and continue up the stem and the bowl almost to the rim. 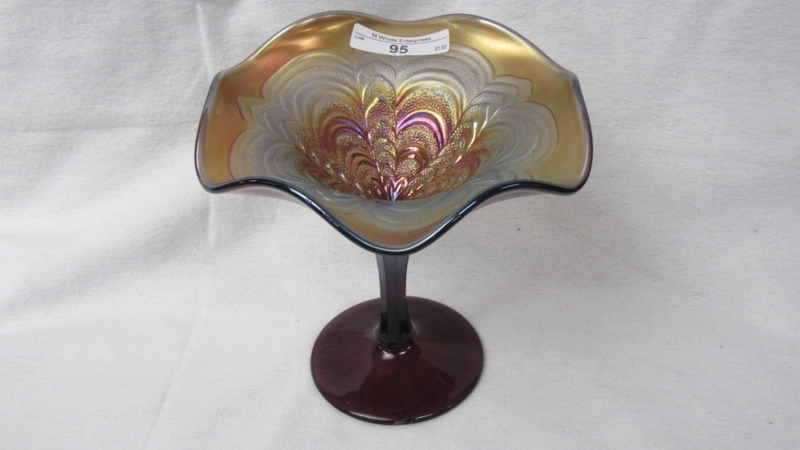 Still, Rosalind Variant compotes invariably bring good prices.